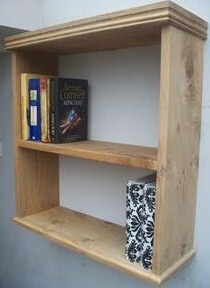 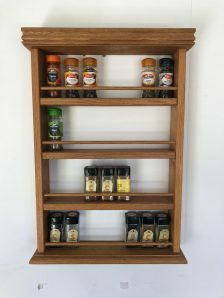 Our Spice Racks are designed to either stand alone or along side our other wall mounted items. The Spice racks can be customised to match any of our plate rack / shelving styles for no extra cost. 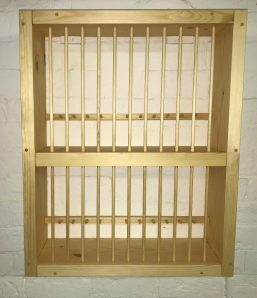 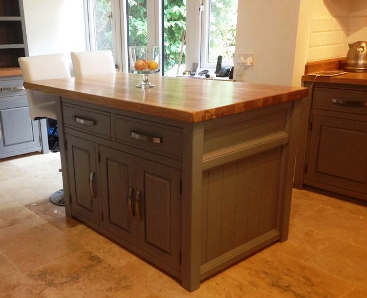 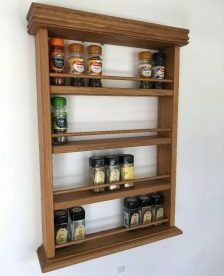 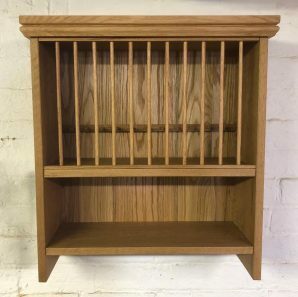 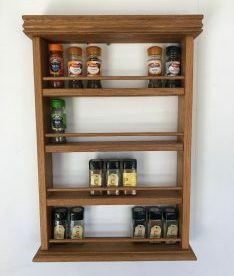 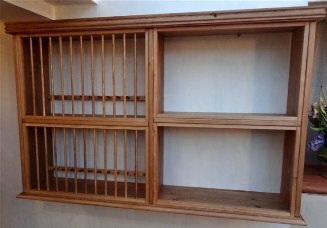 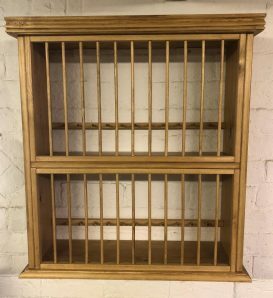 The spice rack shown has a Campden Style Top and Base, and will hold all spices jars up to 11.5cm (eg schwartz), If ordering a spice rack to compliment one of our plate racks or shelves we will shape the top and base to match.